Plowing, harrowing, sowing and harvesting: Machines have been part and parcel of agriculture for a long time. Everything from tractors to GPS-guided combine harvesters is simply an essential part of rural life. Harvesting machines are also used in the winemaking industry, yet winelovers tend to block this from their minds. We prefer to imagine that our wine is produced using traditional, manual methods, and that winegrowers should personally go out into their vineyards and do everything required – from pruning their vines to harvesting the grapes – all by hand. This is not only a romantic notion held by consumers, but also an argument put forward by winegrowers themselves. 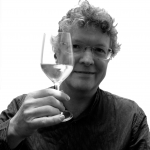 While “hand-picking” is an essential criterion for high-quality sparkling wine (crémant), it’s also a process deployed for similarly expensive non-sparkling wines, too. The reasoning behind this is that only through hand-picking can you guarantee that only the very best grapes are selected. In other words, that rotten, under-ripe and damaged grapes are excluded, and that the healthy grapes are kept intact by transporting them to the wine press in small baskets so that they don’t get squashed under their own weight. Modern harvesting machines, which use adjustable shaking rods to beat the grapes away from the vines before collecting them, can, however, ensure very gentle harvesting. Some models, such as those made by Pellenc, can even select grapes using an optical system – a major breakthrough in high-quality wine production. The grapes are removed from the stems as part of the same operation and are then immediately passed into the wine press. Using harvesting machines means that fewer staff is needed. While hand-picking one hectare would take around 250 working hours – which can be achieved by 30 pickers in one working day – a harvesting machine can cover the same area in just a few hours while unloading fewer than 10 times. The costs involved in the hand-picking process range from €1,800 to €2,500 per hectare compared to between €550 and €600 with machine-picking. The time saved is even more important than the staff-related savings. Some years the grapes have to be picked extremely quickly if, for example, hot, humid weather threatens to cause them to rot. Such “lighting-speed picking” would be impossible without harvesting machines. The machines can even work at night or in the early hours of the morning when it’s cool, which also helps to further protect the grapes. Even steep slopes are no longer an obstacle for the harvesting machines of today. A company in Piesport on the Moselle has developed a special model with caterpillar tracks, which was first used for picking in 2016. The machine is secured through a steel cable and can harvest one hectare in three to four hours. Machines are not making humans superfluous in the winegrowing industry. Optimum results can be achieved with a harvesting machine if unsuitable grapes are discarded in advance by hand. However, climate change will soon require some rethinking, as harvesting will largely be carried out at night in the future. The machines have the clear advantage here, especially because they are more flexible in terms of their deployment than are harvesting teams. Experts are already saying that the difference in quality between “machine-picked” and “hand-picked” wines is statistically negligible. The main requirement is that healthy grapes are harvested. One winegrower in the Palatinate, however, will no doubt be cursing harvesting machines: a few years ago, in the dead of night, strangers harvested his vineyard using machines and got away with 2,500 kilograms of grapes, leaving the grapes at the ends of the rows of vines intact to deceptively hide what they had done. 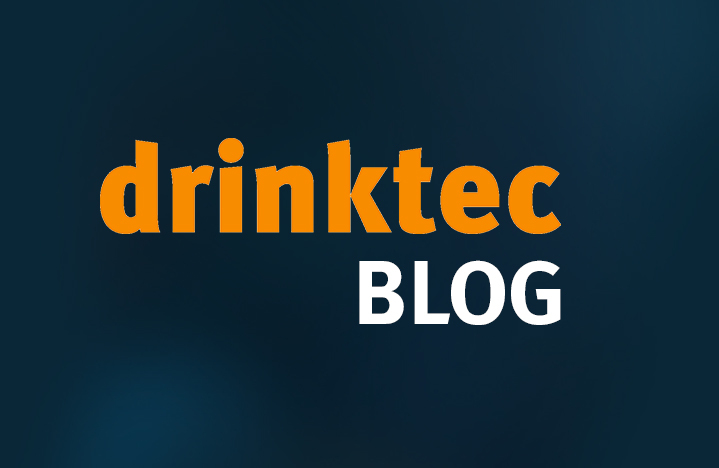 Wine-related topics, from cultivation to harvesting and sale, are also extremely important at drinktec. This is reflected in the huge exhibition floorspace taken up and the high number of exhibitors. More than 1,000 exhibitors attended in 2017 to showcase their solutions for the wine industry. They were very popular too: 23% of drinktec attendees said they were interested in visiting exhibitors from the wine industry.